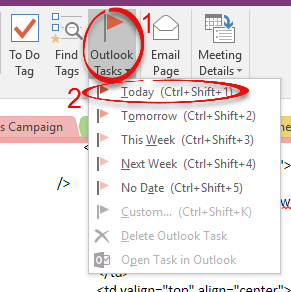 When you create tasks in OneNote, it is possible to have these tasks shown in Microsoft Outlook as reminders. These instructions explain how to do this. This article shows OneNote 2016, but this process also works in OneNote 2013. Step 1:Open Microsoft OneNote.Step 2:Bring up your list of tasks, and highlight the ones you wish to convert. 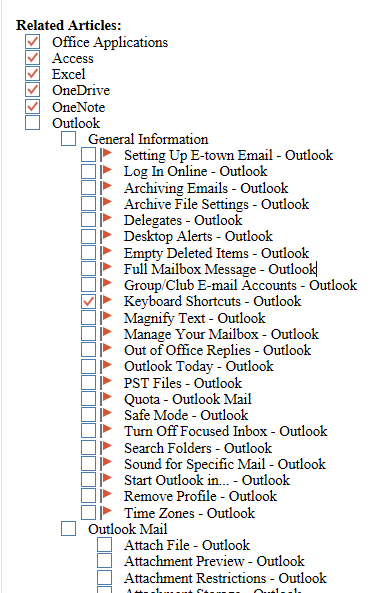 Step 3:In the ribbon, click on Outlook Tasks, and in the drop-down menu, select the time period that you wish to complete them by. Step 4:A small, red flag will appear next to the tasks you've highlighted. Step 6:In the main ribbon, select Tasks. Step 7:The tasks which you have flagged will appear here in the center of the page. 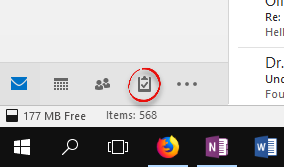 Step 8:When the task has been completed, click the flag in OneNote and a green check mark will appear.